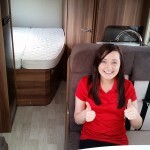 Thinking of hiring a campervan in England or Scotland but not quite sure which van is right for you? Check out our new Vista Plus! What is the Vista Plus? A modern 2-4 person motorhome, the Vista Plus is ideal for couples looking for apartment style living on the road with a fixed double bed and large bathroom to the rear giving it a proper en-suite bedroom feel. The well equipped kitchen is centrally positioned, dividing the sleeping area from the large living area which can comfortably seat six for a night in. For a family of 4, the Vista Plus comes equipped with an additional double bed with plenty of space to occupy the kids and keep them clean and dry after playing outdoors. Where can I hire the Vista Plus? The Vista Plus is available at any of our Scotland or England depots (Edinburgh, Glasgow, Prestwick, London & Manchester). We offer airport transfers from our Scotland depots and free transfers from Horsham train station if you are arriving to our London depot from Gatwick airport. On arrival at our depot, you will be given a fully comprehensive vehicle demonstration. When you are ready, we hand over the keys. What does this Vista Plus look like? Good sized wardrobe and storage. What do Bunk Campers think? 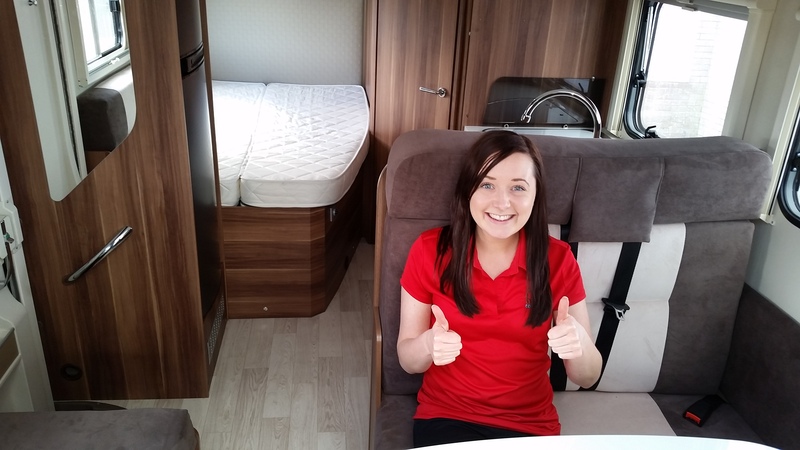 Leanne from Bunk Campers tested out the Vista Plus today. Here’s what she said! Book online, call our office on +44 (0) 2890 813057 or email [email protected]. Plus, don’t forget! Book May Campervan hire before 24 May 2014 and save 505! Enter code BCMAY50 at the checkout!